Huge numbers of British people who have served our country find themselves out of work, homeless, in debt and/or struggling with mental health issues such as PTSD. Veterans Raffle supports UK specialist charities that provide a vital lifeline to those in greatest need. 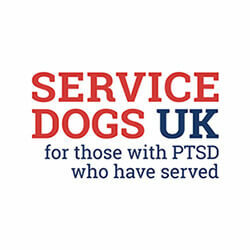 Something that cannot be stressed enough though is that a staggering 95% of Veterans Raffle proceeds goes towards charity & prizes combined, this is significantly more than any other UK veterans lottery that typically only manage to apportion between 45% to 60% combined. Veterans Raffle don't claim to be the very best however figures would suggest that they are deserving of that accolade! Read our terms, Follow us on Facebook, Twitter & Instagram and see why so many people are now beginning to Share our posts. Support for the Veterans Raffle is growing at a national level for very good reasons indeed! Click on a red ENTER RAFFLE link found in numerous locations about the website. 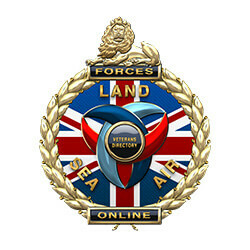 First complete the full Veterans Raffle registration process and then you'll be securely transferred to complete your direct debit mandate. This process does not involve any contracts nor are there any cancellation notice periods. Once your one-off verification payment of £1.95 has cleared and your identity confirmed, you'll be ready to go. Around the 20th of each month you'll receive an email to remind you of our intended draw. Approximately 5 days later you'll be notified by the Veterans Raffle that your £10 monthly donation has been taken from your account. On the last day of each month your name will be automatically entered into all the Veterans Raffle Prize Draws with the potential to Win from £100 up to £25,000. If you're one of our lucky draw winners you'll receive an instant email notification moments after the draw from contact@veteransraffle.uk. If you don't respond to our email then we'll sent you a SMS via 07982 617582. If we don't receive a response to either then you'll receive a telephone call from us via the same SMS mobile number. So you see that every draw has a guaranteed worthy Winner with this veterans lottery, which is why the Veterans Raffle is now the preferred option, given the choice! 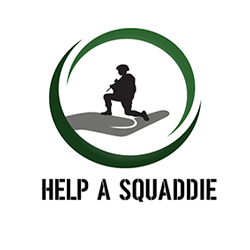 By entering the Veterans Raffle you will support UK veterans charities most in need of your help - Small, local-volunteer run charities struggling to make ends meet. 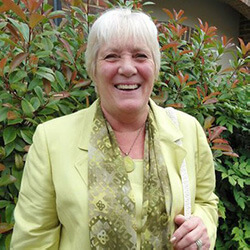 A veterans lottery is supposed to provide regular funding as this is critical to small charities continued success in providing invaluable services. The Veterans Raffle deliberately chose not to follow the old traditional veterans lottery grant application route because it's said to be too slow, outdated and broken. Also such scattergun funding simply doesn't provide a charity with any long-term financial security anyway. Veterans Raffle instead chose the KISS principle and trust all its supported good causes to make best use of their donations! The Veterans Raffle isn't like your typical veterans lottery. The Veterans Raffle doesn't use a complex number sequence like with a veterans lottery, with additional hurdles like bonus balls or matching the order that numbers come out. A traditional type of veterans lottery tends to add further disadvantages with the top prize being linked to a rollover. The Veterans Raffle doesn't mess people about they just keep things plain and simple. There's a winner every single draw because they put all the entrants names into every draw. All entries, draw results and prize notifications are electronic which means that there's never a lost ticket or an unclaimed prize; just happy loyal supporters every month! I was delighted when I heard I’d won a cash prize. I entered Veterans Raffle to support smaller veterans’ charities most in need, I think it’s a wonderful idea and admirable venture. Winning was a bonus, a really nice one! In 2018 we started work on the Basha Project, so our donations from Veterans Raffle couldn’t have come at a better time. A veterans’ residential retreat at Fort Cumberland in Portsmouth and Southsea, this is somewhere for veterans to spend time with others who may be dealing with similar issues and gain access to mental health support as well as advice on housing, benefits, and careers. Whether our veterans come to learn a new skill or seek the comfort and support of like-minded folk, we have high hopes for the Basha Project and Veterans Raffle is helping us to achieve them. We saw the Veterans Raffle advertised locally and upon visiting their website we instantly became aware of just how little we knew about lotteries in general, including those we had been supporting for years. With such compelling facts right before my eyes, it became a ‘No-Brainer’ to switch my support to the Veterans Raffle. 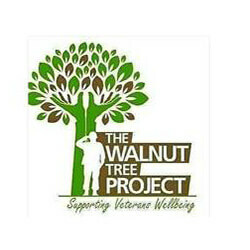 As a non-profit Community Interest Company supporting our veterans and their families dealing with Post-Traumatic Stress Disorder, we were delighted to hear we’d received a donation from Veterans Raffle. The money will help us to fund outdoor group activities for PTSD sufferers, such as horse riding and carp fishing. These community activities help to calm and ground those with PTSD (and their families) so they can regain mental focus and learn to cope with overwhelming feelings. 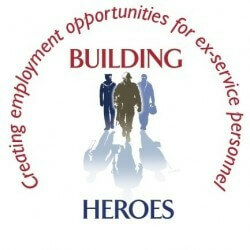 It will also go towards training courses and materials for veterans trying to get back into the world of work. We’re hugely grateful to Veterans Raffle and think it’s a fantastic idea. It’s not always possible for small charities such as ours to get the recognition and support needed but Veterans Raffle is managing to achieve this. Thanks to Chris and the team! The job of our out of hours’ response car service is to battle the risk of suicide. Having had a vehicle vandalised recently, the donation from Veterans Raffle came at just the right time. It’s allowed us to hit the ground running, replace stolen equipment and continue to provide the out-of-hours’ service to veterans in need in some of the remotest parts of East Anglia. I saw that money was going to smaller, more needy charities. I like the fact that charities have been hand-selected too, for offering worthwhile specialist support to veterans. I previously lived in Northern Ireland and I saw how badly soldiers and police were treated during many decades of conflict.... I instantly knew Veterans Raffle was something I wanted to support. My Grandfather fought in the Somme and died years later of suspected trauma (PTSD). My Father served on HMS Belfast '41 - '46 and my uncle flew in the RAF. Never played any lotteries before but felt compelled to support Veterans Raffle. I have always supported Veterans and seen lots of charities advertising for regular donations by playing lotteries or raffles etc. 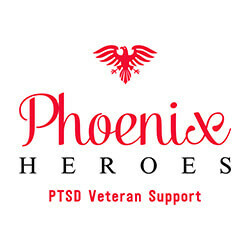 I picked this one to sign up for because of the high percentage that actually goes to the charities and because of the chosen charities it supports - independent charities, not so well known, and they are supporting themselves and making a huge difference to Veterans lives. Having been an army wife for seven years to my husband who served 17 years with the REME, I wished to offer support of Veterans Raffle and the charities they help. Over the years we’ve become more aware of the issues that a number of our veterans are suffering from. Most people don’t have to look back too far to find family links to the military and wonder if they too had suffered as a result of their service? So when Veterans Raffle came along we felt it was an ideal opportunity to help support lesser-known veterans groups. I’ve already won 2 cash prizes and that’s been a real bonus! Step 1. Complete the Registration page and press submit. Step 2. Complete your direct debit mandate. Step 3. Make a one-off £1.95 registration/verification payment. Step 4. Donate £10 per calendar month to be entered into every draw each month. This is your opportunity to help make a real difference to a UK ex-forces charity of your choice, and at the same time you could be winning anything from £100 to £25,000 as a result of your support and loyalty.